UN55JS8500 and UN55JS7000 are two model that you can take a look if you are looking for 55-Inch Smart TV and you decide to go ahead with the new 2015 Samsung SUHD TV series. As part of Samsung SUHD TV..
LG 42LF5800 is the replacement model of LG 42LB5800 in 2015 lineup. It’s positioned as basic Smart TV for 39-45 Inch screen size range in 2015 lineup. While LG 42LB5800 itself is one of the bestselling model for basic..
Samsung UN65JS9000 vs UN65JS8500 : Is UN65JS9000 The Better Choice? 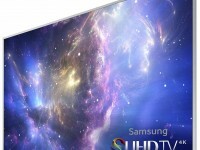 If you hear about UN65JS9000 and UN65JS8500 then I’m quite sure that you already know that They are two 65-Inch SUHD TV from Samsung’s 2015 TV lineup. 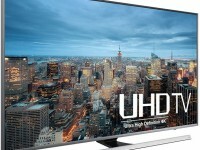 As part of SUHD TV series, both of UN65JS9000 and UN65JS8500 come with Nano.. If We talk about 50-Inch basic LED TV, then We should talk about LG 50LF6100 and 50LF6000 from LG’s 2015 TV lineup. 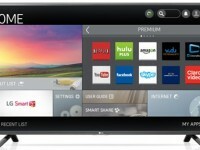 LG 50LF6100 is positioned as basic Smart TV that comes as replacement model of the older LG 50LB6100 from..
Samsung UN60JU7100 vs UN60JU6500 : Is UN60JU7100 Really a Better Model? Samsung UN60JU7100 and UN60JU6500 are two models that comes to your mind when you consider to replace your older TV with the new 60-Inch Smart 4K UHD TV from Samsung’s 2015 TV lineup. Both of UN60JU7100 and UN60JU6500 comes with..
LG 65LF6300 vs 65LB6300 : Is There any Improvement on the New 65LF6300? If you are searching for 65-Inch Smart Full HD TV, you can find LG 65LF6300, the new model of LG 65LB6300 as your alternative choice if you prefer LG as your brand. 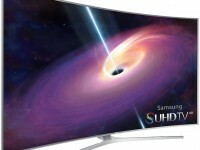 LG 65LF6300 is currently the only 65-Inch..
Samsung UN55JS9000 vs UN55JU7500 : Which One to Choose? If you consider to replace your old TV with the new 55-Inch curved Smart 4K UHD TV, then Samsung UN55JS9000 and UN55JU7500 are two choices that come on top of your list. Samsung UN55JS9000 comes as part of JS9000 model.. If you are looking for second TV for smaller rooms at your home, then Samsung UN32J6300, the replacement model of Samsung UN32H6350 is the one that you should consider. The reason behind that is, You can get one of..
Samsung UN65JS9500 vs Sony XBR65X930C : Which One is More Suitable for Your Home? If you consider to choose Samsung UN65JS9500 or Sony XBR65X930 for your home TV, I’m quite sure that you are an AV enthusiast that willing to pay premium price for premium 65-Inch Smart 4K UHD TV. Both Samsung UN65JS9500..
Samsung UN55JU7500 vs UN55JU6700: Any Significant Differences? 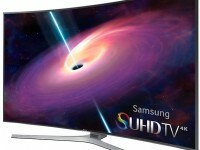 When you take a look on UN55JU7500 and UN55JU6700 TV model of Samsung’s 2015 TV lineup, I’m quite sure that you are looking for 55-Inch Smart 4K UHD TV and you are interested in curved panel design TV. As both of..